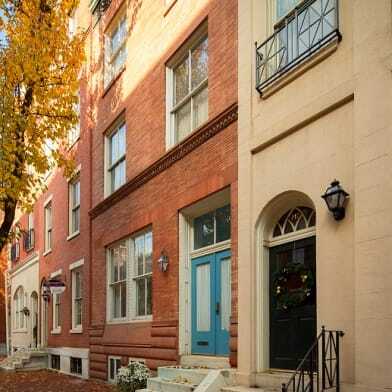 Available Early June: This apartment is located in a triplex, on a lovely street in the Washington Square West neighborhood of Philadelphia. You'll be close to Broad Street's iconic Avenue of the Arts, offering a long list of local favorites for dining and entertainment like Mixto, Pinefish, Yellowtail, The Kimmel Center, Merriam Theater, Academy of Music, and much more in this central location! Easily accessible via public transportation, with nearby bus routes and the Lombard South Station for the BSL. This unit is on the first floor and lower level, and offers a beautiful interior with hardwood floors, great storage space, and natural light throughout, even on the lower level! 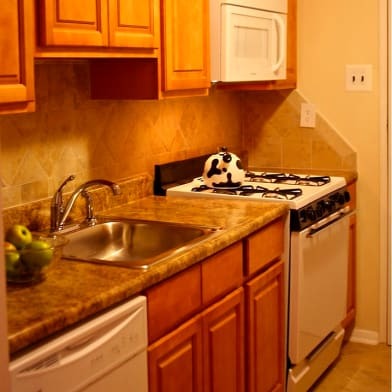 The kitchen is on the main level, and features stainless steel appliances, granite countertops, and tile backsplash. The dining area is right by the kitchen and has a fireplace and plenty of space for a full dining room table and chairs. The lower level is the main living space and the full bathroom. Schedule your showing today!Generally, first month, last month, one month security deposit due at lease signing. Other terms may be required by landlord. $45 application fee per applicant. Pets are conditional on owner's approval and may require an additional fee, if accepted. (generally a fee of $500/dog and $250/cat or monthly pet rent). Cold water is included in rent. Tenants responsible for all other utilities: hot water, gas, electricity, cable/internet. Have a question for 1120 RODMAN STREET?